Most Indians do not know this, but the Indian National Congress are enacting legislation that by the end of the year will see India giving away substantial land to the Islamic Republic of Bangladesh, in what is called the “India-Banglesh Land Swap Deal.” It is only opposition by Mamata Bannerjee and also the BJP that has stopped it so far. The land swap deal aims to settle a complex historical issue; which at some point needs to be given serious thought. However the rush for the Congress to try and push through the territory issue sooner rather than later is based on something really silly. 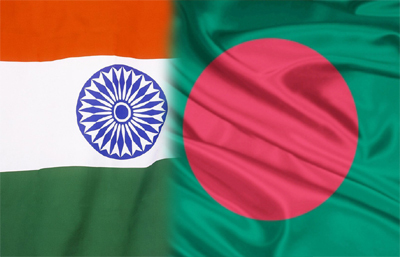 Bangladesh currently has a relatively pro-India government (note – relatively). The main opposition, the Bangladesh National Party, party takes a more shrill anti-India line. The Congress wants to support and keep happy the ruling Awami League led by Sheikh Hasina, because there is a possibility that the government will fall in the upcoming Bangladesh general elections and Islamists led by Khalida Zia will come to power. The logic is that the deal by which Bangladesh gains territory will create a “feel-good factor” in Bangadesh, which will tilt the elections in the favour of the Awami League. This is a ridiculous and hollow argument; the fact is that even is we give away the land in a hurry, the Sheikh Hasina government may still fall. Once we give away land there is no getting it back. And it should be noted that losing territory voluntarily due to short term political considerations will embolden Pakistan and China, and possibly enhance their arguments in coveting Indian territory. I guess the Congress feel that they and the media will managed to keep the Indian public opinion too divided and confused to make much of a big deal about this. At any rate, it should be noted that although Sheikh Hasina is at this point behaving in a friendly manner with India, she is secular only by Bangladeshi standards. For example, she is reported to have rationalised the anti-Hindu prejudice prevalent in Bangladesh by accusing the country’s Hindus of having one foot in India. The sad thing is that our moronic and mostly anti-national media are helping the Congress build public confusion and apathy towards this issue, example see here and here. Finally, I must state that we really need to vote out the Congress next year at all costs. I used to see the Congress as a genuine national party; the fact is that it no longer is. It is just a party of a dynasty trying to cling to power at any cost and is selling India’s future down the road at every opportunity. It wouldn’t surprise me at all if it turns out to be true that they have negotiated a virtual capitulation on Kashmir under pressure from the USA. Its a criminal act , no one in this country has provided this type of mandate to this Minority Government , led by a Foreign origin person . All this land was guarded by our soldiers regularly . I emphasis here that we must get back that Island Kachchtiu given to Sri -Lanka in 1974 by Indira then PM , what is the result of this magnanimity is daily our Fishermen are subjected to harassment , arrest and killing by Lankan Forces ? There is no gift of any such land as mentioned above it is all propaganda against congress to defeat in next General Election. There is a talk going on between two countries since long to swap some area because of some problems in various villages. – It results in a gain of 10,000 acres to one country. – It is being done to try and bolster the popularity of the current govt of Bangladesh. – In return for doing this, which on the whole is a long standing Bangladesh wish list, India does not secure any strategic gain in relation to other important bilateral issues, such as water sharing, the right to conduct military operations if terrorist havens are identifies (as was done in Myanmar), dealing with illegal immigration and border security, which are almost causing a civil war in the North East. Hence it is a short sighted and weak move, that anyone who truly understands the long term aspects of national security and interest (which span over decades) would oppose.